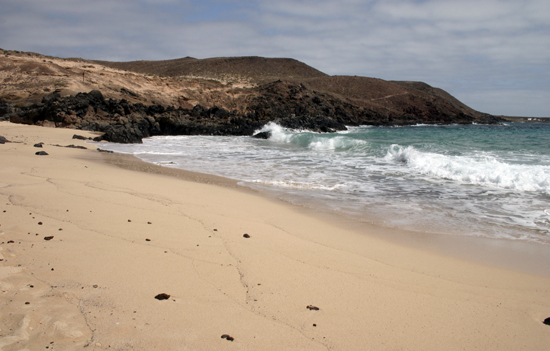 The Beach Barranco Los Conejos is located in the southeast of La Graciosa. 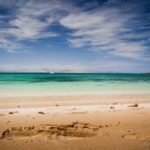 The beach is only 20 metres long and 6 metres wide however, thanks to the breathtaking view of the ghost town of Pedro Barba on the southeast corner of La Graciosa, it seems much bigger. 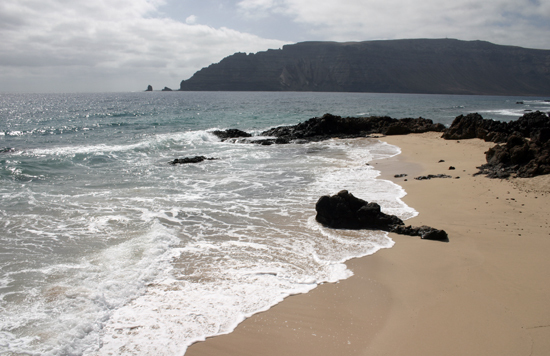 From here you can also see the stunning cliffs of Famara and on the horizon the marvelous view of Roque del Este. Enjoy its exquisite golden like, yellow sand and its crystal clear waters. 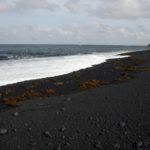 Here you will feel able to relax and play with the foam breaking waves. During September you will feel a special calmness due to the drop in wind and the early morning sunshine. If travelling with children be careful with the ocean currents. The sea can get a little rough, normally the waves never reach more than a metre in height, but caution is always required. 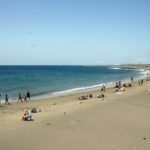 The water is of a high quality and despite the heat the Beach Barranco Los Conejos benefits from a permanent sea breeze from the north. 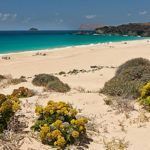 Get to know more beaches in La Graciosa, as there are the long beach of Las Conchas, the perfect family beach La Francesa or the small and stunning cove La Cocina Beach. All of them very different one from another. It’s so worth getting to know them. Just click on the names and we will take you directly to the articles. 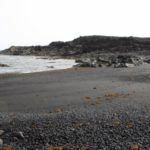 Small golden sand cove of 20 metres. Precaution required when entering the sea. How to get there: By foot or by bicycle. 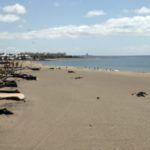 Approximately an hour and a quarter from Caleta del Sebo, which is the capital of La Graciosa (the Archipelago islandChinijo off the northeast of Lanzarote).